Wanting to learn how to sing like Chris Cornell was actually one of the very first reasons I started learning how to sing – the incredible high range, control, power, he really had it all! In this singing tutorial, I’m going to show you how to sing like Chris Cornell by developing your voice in the same manner he used to hit high notes and resonate like crazy. One of the important things you will ever learn in singing is the ability to bridge and connect chest and head voice – this connection is often know as mix voice. Mixed Voice occurs when you blend frequencies from your chest voice with frequencies from the head register, allowing you to retain the rich depth that we all know and love from Chest Voice, while enjoying the extensive range afforded by head voice. Chris Cornell was a MASTER of mix voice, which is the reason he was able to retain a rich and full vocal tone as he ascended far beyond the realms of normal Chest Voice. Releasing your registers as you ascend allows you to keep a connected and ‘zipped’ vocal chord coordination that sails way up into your high range with all the power you associate with ‘chest voice’, but without any of the tension or strain you’re currently experiencing. This register release allows you to sing in the mix coordination and build a truly powerful and extensive vocal range. Learning control of your registers will allow you to develop the proper chord coordination required to learn how to sing like Chris Cornell with POWER and EASE into your high range. These 5 tips to sing like Chris Cornell will set you in the right direction of building a powerful and consistent singing voice that allows you to sing high notes with ease and intensity. If you want to learn how to sing like Chris Cornell, releasing from your Chest Voice into your MIX voice is absolutely paramount – there’s a reason that Chris Cornell’s voice doesn’t just flip up into falsetto when he sings high songs like Jesus Christ Pose or Cochise – a blend of frequencies between chest and head voice. It’s important to understand how your vocal chords come together to create ‘chest voice’ and ‘head voice’ first, and secondly you need to learn how to connect and bridge the two by using what is commonly called Middle or Mix Voice. Your middle voice is partially the result of coordination between the muscles that create your chest voice, the TA (thyroarytenoid) and those that create your head voice, the CT (cricothyroid) – but in a practical sense, Mix Voice is simply a tonal blend of frequencies from both your high and low registers, in essence, a “mix” of chest resonance and head resonance together. By centrally balancing these registers so that you have a fluid and ever changing ‘gradient’ coordination of frequencies rather than a dominant pull or push in either direction, you can retain the rich depth of chest voice while accessing the impressive range allowed by your head register. I’m quite often asked by beginner singers “How does Chris Cornell belt so high?” when in actual fact he was often singing in a released middle coordination and simply tuning his resonance in a very precise way for the most efficient use of his frequencies. If you want to learn how to sing like Chris Cornell, you’re going to need to learn how to sing in mix voice while coordination of the CT and TA muscles – excess vocal fold weight is no friend to you if you want to sing like Chris. While we often pronounce our vowels in speech using our articulators – the lips, teeth and tongue, singing actually requires a specific tongue shape and corresponding vocal tract width for each of your vowel sounds. As an example, AH is the widest vowel sound and requires a concave tongue, while EE is the most narrow vowel and requires you to raise the back of your tongue. Vowel shaping is incredibly important in your quest to sing like Chris Cornell, and if you listen very closely when Chris Cornell sings, you can hear that his vowels are very clearly resonant rather than a pronounced sound. 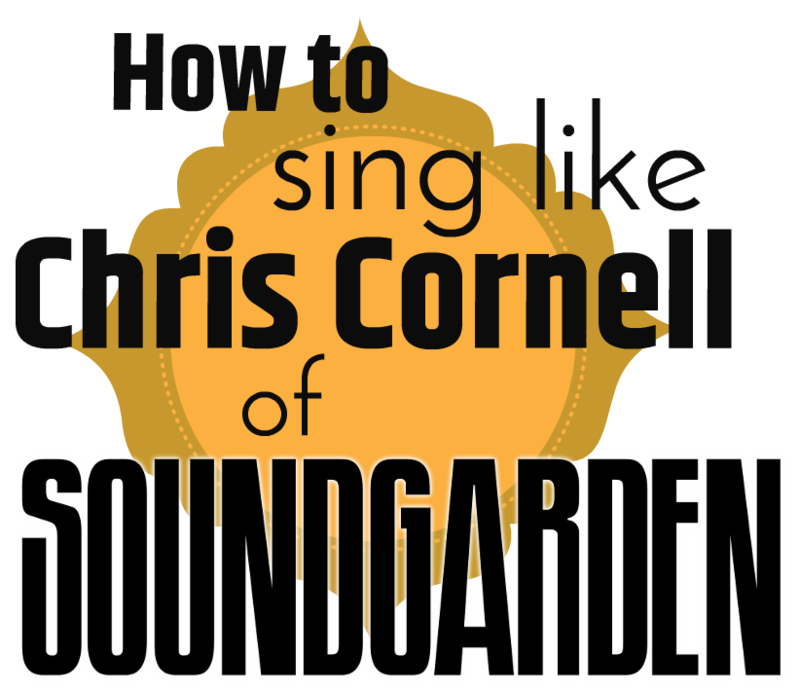 Shape your vowels for the best approach to singing like Chris Cornell. Further to the point I made earlier about Chris Cornell not being stuck in ‘belt’ mode when he sang, you’ll notice that Chris Cornell was able to articulate absolutely every sing word that he sang into his high range without resorting to the common issue that Male singers often experience – a lack of EE or OO vowels high in your range. This is due to the overly wide vocal tract setup required for belting and is a product of poor technique, where Chris Cornell actually retained his EE and OO sounds due to correct shaping and tuning of his vowels in many classic Soundgarden and Audioslave songs. Even with these special singing vowels, you’re likely to run into trouble with voice breaks here and there – that’s why it’s SO important to tune your vowels as you ascend in range. Basically, everyone’s vowels require a different character, or different ‘width’ as you ascend in range, due to physical differences in the vocal tract, vocal mechanism and of course – level of vocal technique. Tuning your vowels does require consonant practice, patience and perseverance, but it’s a simple concept at heart and really is the cornerstone of any POWERFUL singing approach. Learning how to tune your vowels properly will allow you to sing with a POWERFUL resonance that is connected and consistent well up into your higher range. The most common way to tune your vowel is known as vowel modification, but is ultimately just a subtle change in the width and shape of your vocal tract via use of the tongue root, larynx, soft palate and walls of the vocal tract itself. Develop control over these often misunderstood vocal elements and you will be singing high into your range while connecting Chest Voice vs Head Voice with ease just like Chris Cornell! Singing isn’t just about crazy range and special vowels, learning how to sing consonant sounds is also a very important part of a healthy singing voice. Every accent, voice type and native tongue approaches consonant sounds DIFFERENTLY, so it’s important to get your consonant sounds correct with the right tongue shape and airflow required in a powerful singing voice. Chris Cornell was a master of singing powerful consonant sounds without strain, so if you want to learn how to sing like Chris Cornell – you have to MASTER your consonant sounds! My approach to consonant sounds is to group them into their respective types and form an individual approach to each consonant considering my student’s range, voice type and native tongue. Keep in mind that a vocal onset is actually a different aspect of vocal technique to a consonant sound – are you trying to initiate your resonance on a consonant sound like S, T or B? The solution is to develop a balanced resonant onset while articulating your consonant sound corrrectly. Are you making use of your Mix register, singing with a balanced resonant onset, connecting chest and head voice, tuning your resonance while employing a healthy and strong vocal foundation? Foundation truly is the most important key to learning how to sing like Chris Cornell. 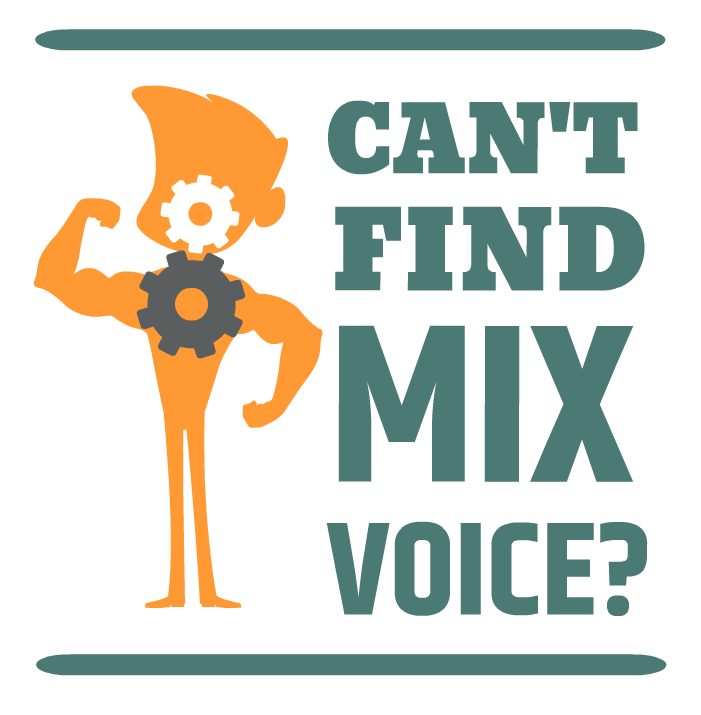 A great place to start is this special Mix Voice singing lesson which will show you exactly how to develop your mix voice and create that killer blend of frequencies that Chris was so well known for. Remember, the key to a powerful singing voice is a powerful foundation – is your foundation as rock solid as it could be? Feel free to leave any questions or feedback below! You said that your vocal break about B3. Where is Chris Cornell’s vocal break? Thank you! Hey Ilya! Higher than mine for sure, most likely around D – but he was so excellent at negotiating his registers that there was no longer an audible break, like I demonstrate how to do in the video. Your voice breaks due to improper vowels, incorrect support and not releasing from your chest register – all things you can learn easily to increase your range. Let me know if you have any other questions about your voice! I am so glad I came across your site. I really feel as though I have zero musical talent. However my niece is way into singing. I want to do some singing with her, but I am clue less to say the least. You have shown that just maybe I could learn enough to pull of some singing with her. That for the lesson, I will be back! Kegan, how do you hear it? Did Cris Cornell used breathiness? I can’t really figure it out. Or this sound – “pre-grit stage” when we reduce volume with keep pressure? What do think it is? I love Chris Cornell, everything from Beyond the wheel through to King Animal, favourite singer – but, this is a voice in bad shape however, sounds like his chords were swollen, or damaged by this point. If you listen to his earlier singing (“Can’t change me”), it’s SUPER clean and clear all the way into his high range without the same push, you can hear how clear his voice is on the Temple of Dog record too. That “breathiness” is a tired voice, and the push is because he didn’t adjust his technique as his voice changed throughout the years (thicker chords as you get older means you have to rework your voice). My favorite Chris’s work – album ‘Higher Truth’ – it may called late work. For me its sounds clean too. Yeah I love it too! My favourite is King Animal – of course I love the classic Superunknown and Badmotorfinger, but King Animal is just incredible, love Higher Truth too! Anyway for me personally he was the best singer for all times. Agreed! My favourite singer of all time, I bought Superunknown when it first came out and have been hooked ever since. He was my inspiration for singing, and still is the most important singer to me! I open Chris Cornell’s music for myself by his solo works first and discover Soundgarden after. Once his show was announced in Moscow but it did take place – I don’t know why. I should had move to Finland but I didn’t. Have you seen Chris Cornell’s live performances? I didn’t see him live, sadly, no. He did play here in Sydney some years ago, but it sold out within minutes. It’s okay though, I have no regrets either!